• High quality 97% cotton and 3% elastan. 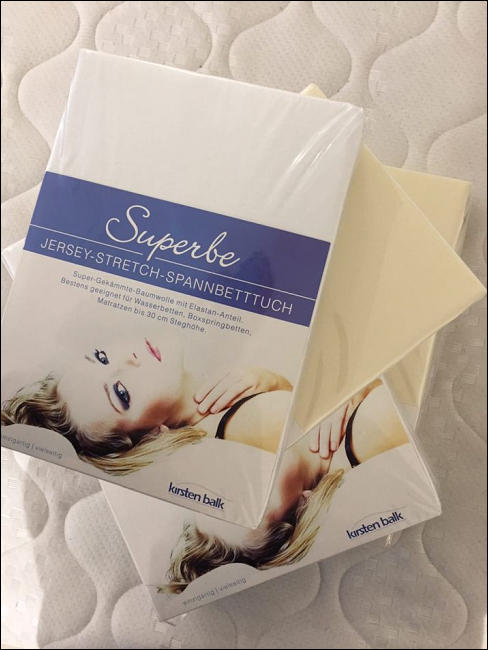 Excellent comfort, sheets that stay snug on your bed. • Relatively expensive but well worth the investment. Ordinary sheets have no give. A couple on a waterbed mattress will sink in far more than on an ordinary mattress and so sheets with no stretch come un-tucked wraping around you by the morning. • Apart from the elasticated skirt the material itself has a surprising amount of stretch due to the knit and elastan content. The stretch means that for length one size fits all. Postage is £7.20 added at checkout. Additional products can be added with no postage cost.